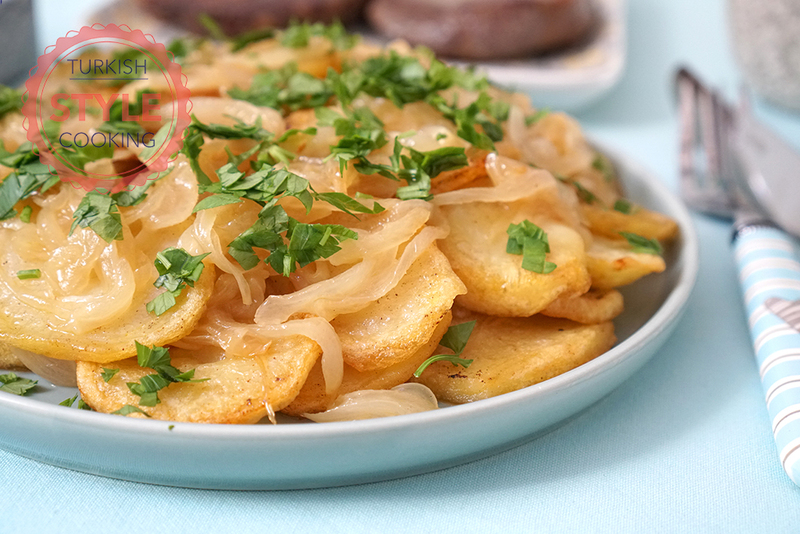 Today I have a recipe which is both is easy to cook and delicious, lyonnaise potatoes. As its name suggests, it is from Lyon, France. It goes well with meat, chicken and fish. The only difficulty of the recipe may be that it takes some time for the potatoes to cook in the pan. I wrote the recipe in this way because the original recipe requires the potatoes to be cooked in a pan. But baking potatoes is also possible. Of course you should first half-boil them. Then cut in round slices, grease with melted butter and bake in a 180-190 C degrees oven until golden. I have tried both methods. Baked is just a little more crunchy than cooked in the pan. But the crunchyness disappears after combining with caramelized onions. 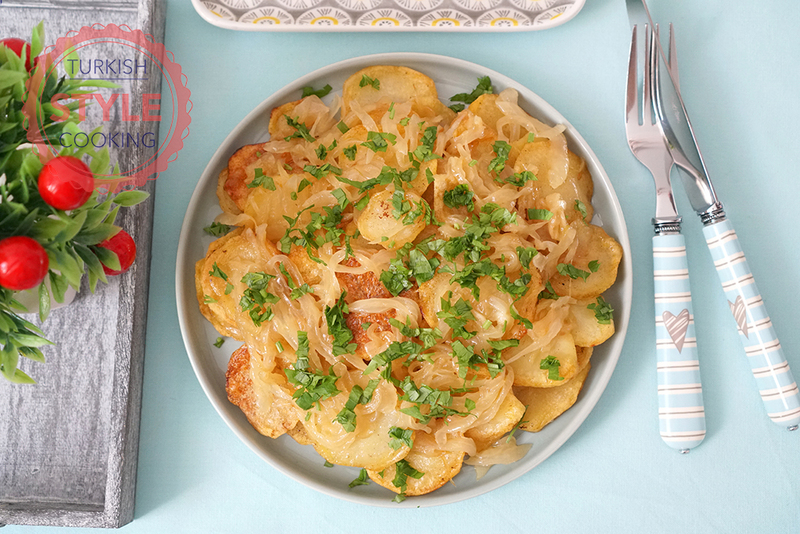 When you bake potatoes while caramelizing onions, the recipe becomes more practical. But you should keep in mind that in the original form potatoes are cooked in the pan, not baked. As the recipe has few ingredients and the processes the quality of the ingredients determines the quality of the taste. That’s why don’t use “about the go bad” ingredients. The only difference between throwing bad food to thrash and eating it is the disrespect you show to yourself / your body. I’ve always been againts food waste, but there’s a big mistake about the concept of food waste. Eating bad food is seen as avoiding food waste. So wrong. Preventing waste means consuming foods before going bad. So, don’t buy bulk of food that you can’t eat, try to consume them before going bad or if not possible, freeze or can.